"dabunnies" in the site fights! Click here to cast your vote for us !! On all my many bunnie things. They all will gather here. Hip, hop to the left. Hip, hop to the right. Time to Fight! Fight! Fight! I found all the bones!! and dusted me with lots of spirt! 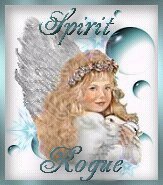 You have just been dusted by D'Esprit Fairy. which represents the Spirit of the Sitefights! of fairy luck in The Fights. This was sent to me by another "dabunnie"! 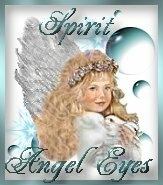 Click on the little elf to visit her site. Don't forget to vote for her! 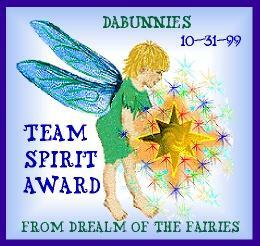 We won this award in the bunnie battles! Click here to cast your vote for us !! Thanks!